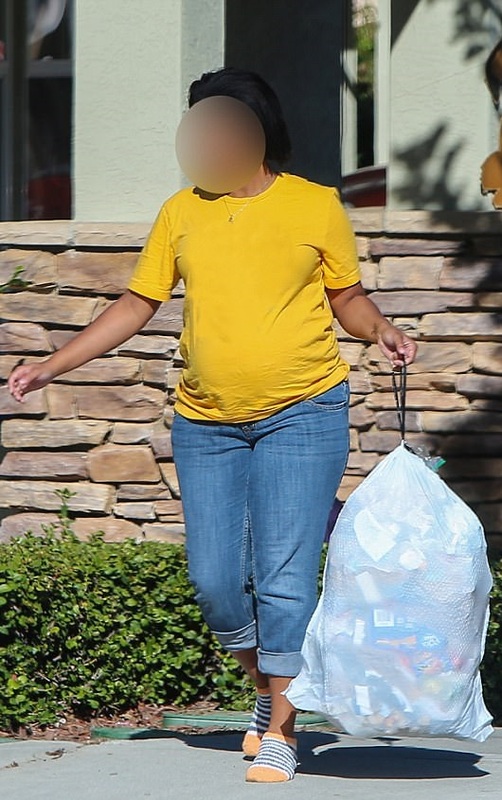 The woman who is Kim Kardashian's surrogate showed off her large baby bump on Wednesday as she took her trash out. 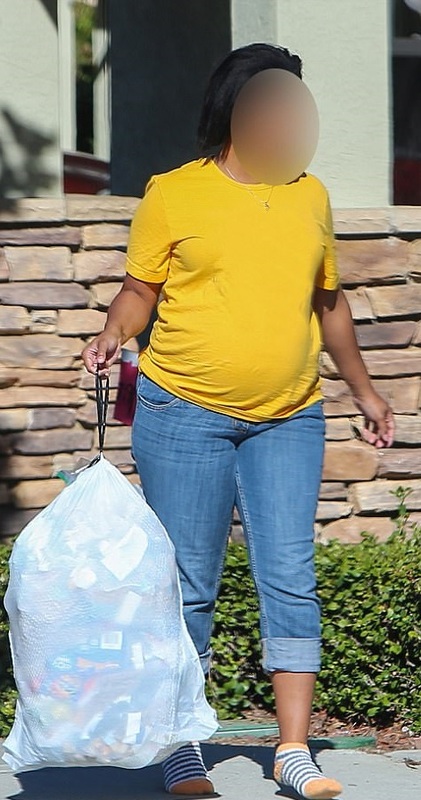 The unidentified Southern California resident is reported to be carrying the reality star's third child. 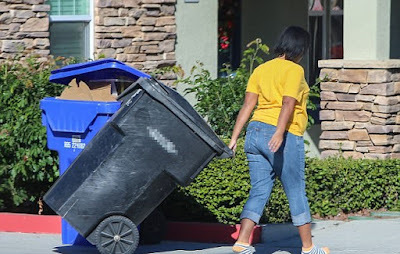 She was seen hauling a large white trash bag out to a cart on wheels outside her home dressed in a yellow t-shirt and blue jeans. The surrogate had rolled up the bottoms of her denims and wore stripy socks.